Before the release of the PG 3, Paul George and the Swoosh Brand debuted a hybridized PG 2.5 silhouette that combined design stylings from his first two signature sneakers. 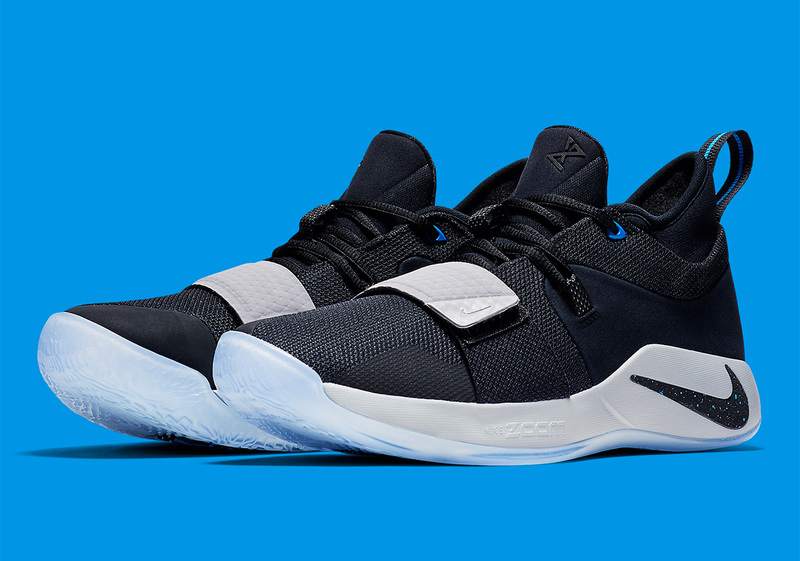 Taking the overall construction of the PG 2 and adding the beloved midfoot strap of the PG 1, it offers the best of both worlds for fans of George’s signature line. Its newest colorway set to release at the end of the month borrows the color scheme of one of the most revered iterations in Jordan Brand lore, the Air Jordan 11 Space Jam. Devoid of any patent leather construction, it does boast a primarily black upper with photo blue hits mixed in as well as a stark white midsole unit for contrast. A speckled midsole Swoosh emblem gives off a clean deep space-like vibe that furthers the clear connection to everyone’s favorite Loony Tunes basketball film. Whether you have an upcoming contest against the Monstars with the fate of the world at stake, or you just need another reasonably priced hooping shoe in your rotation, look forward to this PG 2.5s arrival at Nike.com and other stockists on September 30th.